Hello Rosalie, my new Jimmy Choo bag, a birthday present. :-) I can't wait to wear it in the summer with some elegant outfits but also I think it is ok for smart casual ones. I will post some photos as soon as I find a suitable photographer. And this is Rosalie in the Jimmy Choo shop online. 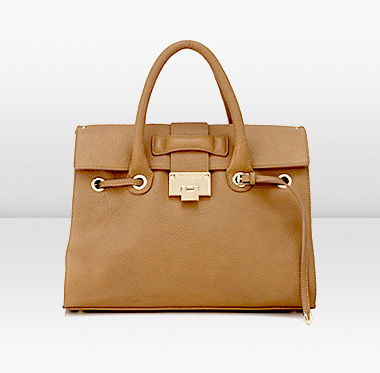 It comes in different colours, with a detachable shoulder strap and is made of beautiful soft calf leather.